Resources - Forever Tai Chi! 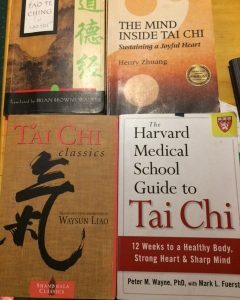 Below are some resources that can help enhance your Tai Chi Chuan practice and learning. We are a group of Tai Chi enthusiasts who have formed this organization for the purpose of spreading the word about what we consider to be a healthful exercise, a traditional and historic martial art, and a fun activity that can be practiced and enjoyed by people of all ages. Chris Burnett of Green Dragon Tai Chi demonstrates several applications for Chen style walking obliquely. Chris Burnett of Green Dragon Tai Chi and Qigong shows us one way of looking at the eight energies of Tai Chi as translated into the Chinese terms: Peng (ward off), Lu (roll back), Chi (or Ji- press), An (push), Tsai (pull or pull down), Lieh (split), Chou (elbow), Kao (shoulder). He also shared some applications.